The membership of Rockside Church elected Rev. Michele Thompson as the next Lead Pastor of Rockside Church, and she has accepted this opportunity to start serving in November! We are thankful to the Pastoral Search Committee and Board for all of the hard work accomplished behind the scenes to get to this place. Thank you to those who were able to be a part of any of the weekend's activities, and for all of the prayers prayed as we prepared! 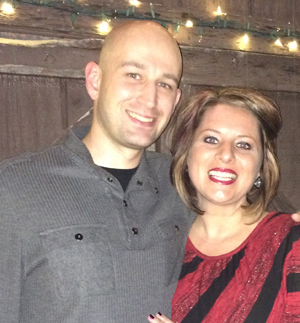 We welcome Michele and her family to Rockside Church as we look forward to all that God has in store for the future! Over the past 20 years Michele has had the opportunity to work with some great ministries spanning from Illinois to California. With a potpourri of job descriptions and a diversity of age groups, Michele has been strengthened by these experiences and training and feels compelled to give that away to others. Her passion for developing leaders is what brought her to Ohio in 2006. 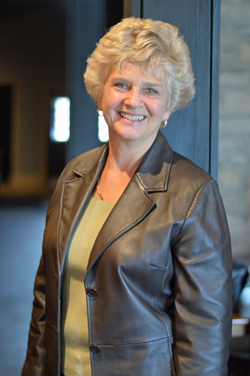 Since then, she established a children's ministry in that local church, a leadership environment that helped kids, students, and adults be all they can be for Christ. She also lead the guest relations and assimilation teams for her church. Over the past 3 years, she has worked with the Ohio Ministry Network and been able to create a Network of Women Ministers for the strategic purpose of encouraging, equipping and empowering the many women ministers across Ohio. Michele has been a Licensed Minister in the Assemblies of God and has been serving in full time ministry since 1999 and was recently ordained in 2017. She is also a certified Leadership Coach with the John Maxwell team and continues to have a passion to teach, train and develop leaders of all ages. Michele is married to Charles Thompson and they are blessed to be able to create a blended family with Charles' twin daughters, Acelynn and Adrianna (Anna). Charles is a Clinical Registered Nurse at the University Hospital in Cleveland and has served there for over 12 years. His heart to care for people shows not only in his personal career but also in his heart to serve the church however he can. Copyright © 2019 Rockside Church.